Fitness enthusiasts are in for an eventful Sunday thanks to TAD 2015. 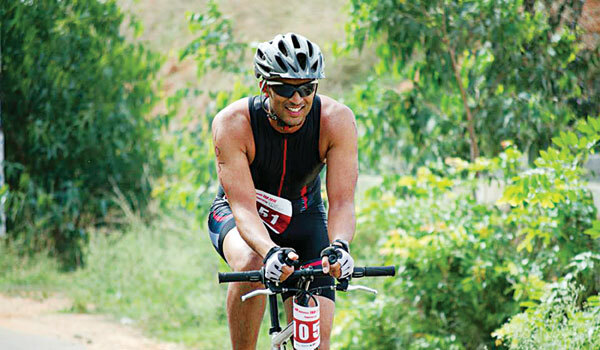 Short for triathlon, aquathlon and duathlon, the event is organised by Fit I Am, a fitness studio based in Rajajinagar. In its second edition, the open event with participants from Bangalore, Chennai, Mangalore, Pune and Gurgaon put their endurance levels to the test. a�?The whole idea of Fit I Am, and subsequently the events we organise, is to create an environment through which the city can come together to participate, promote and encourage fitness as a discipline. We are an organisation to promote fitness and pathology as a path to wellness as success,a�? begins founder Dinesh Kumar. And while you dona��t need to be a trained athlete to take part in TAD, Kumar tells us more about the circuit and how to stay motivated, apart from the participation medals, gift vouchers worth `1,250, goodie bags, wrist bands and energy drinks, of course!
? Keep the right form. Dona��t get caught up in speed and time, but stick to correct technique.
? Hydrate. Dona��t let the muscles get fatigued by not drinking water. But dona��t gulp. Take small sips.
? Follow the discipline of the course. Dona��t get in the way of others and respect their paths.
? Never give up. Even if the last leg is a bit tiring, and it will be, just push yourself to the very end.
? And most crucially, participate for the fun of it. Fitness has to be fun. If it isna��t, there will be no fitness. What can we expect at TAD? TAD 2015 consists of three major activities. Triathlon is a combination of swimming, cycling and running, aquathlon is a combination of swimming and running while the duathlon will involve cycling and running. Participants to look out for? Suman Singhi, ambassador of Pinkathon (Milind Somana��s running event to encourage women to adopt a healthy lifestyle). Gourav Dutta, a retired army officer from Kargil, who has lost one of his legs will be taking part too. Plus, Bangaloreans such as RJ Raaj from Red FM among others. The idea behind this event was to bring Bangalore as a community at one place. So, any novice who has not ever run a race before can take part. It is really not about winning or losing, it is about crossing the line at any cost. Ita��s not restricted to fitness freaks alone. This year it is bigger and better. Last year saw 350 participants. This year the number is touching the 1,000 mark. Wea��ve even done a lot of training for those whoa��ve registered and you can expect the athletes to have a gala time. Participants should have basic functional training in running, swimming and cycling. Apart from that, if you are above the age of six, you automatically qualify!